Hotel Mittersill: Dogs are allowed! At most hotels, dogs are not welcomed. 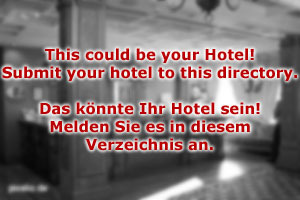 This is different at Hotel Mittersill: We will happily welcome you as well as your best friend! Not only dogs, but other pets as well - cats, rodents and bunnies can spend their vacation with you in the beautiful mountain area of Mittersill. We might also be able to cater for other pets, please let us know in advance (note: reptiles, scorpions and amphibians can not be taken to our hotel). 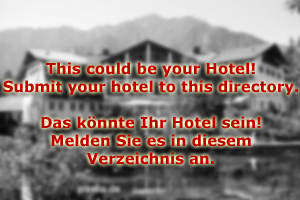 Hotel Mittersill is a family-run hotel of the three star category. It was founded in the late 1970ies; only in 2000, it was renovated and transformed into a "dog and other pets welcome hotel”. The novel approach to holidays became a huge success: Dog owners from all over Europe discovered our hotel and enjoy hiking vacations in summer and skiing holidays in winter. Hotel Mittersill has generous facilities for cats and dogs, which extend into the basement and a connected building. If your dog doesn′t like company, you are perfectly welcome to take him or her to your room. The same applies to cats. The restaurant is the only area at Hotel Mittersill, where animals are not allowed - but we treat them with special dog meals in a room right next to our restaurant. Note the training par court and the dog meadow in our garden. Once every week, we have a lecture on dog-related topics: Be it dog training, dietary advice by a vet or information on dog accessories, you will always have an opportunity for learning something new. The rooms of Hotel Mittersill are rustic, plain and furnished with a loving eye for detail. The furniture is solid and the floors suitable for the claws of dogs. The surroundings of the hotel are ideal for extended walks with your dog and since the hotel is a pet-friendly place, you will find many like-minded people among our guests. Note that about 70 percent of our guests travel to Hotel Mittersill with a pet, most of them with dogs. We charge a percentage of your booking for every dog, cat or other animal depending on the effort that its care will take. The remaining 30 percent of our guests simply come for enjoying the scenic surroundings of Mittersill and the National Park Hohe Tauern - be it for hiking in summer or skiing in winter.